Our memberships are offered primarily around our classes. Ours is a training gym where we spend all day doing classes and personal training. Our high intensity classes are offered at various times throughout the day and and change daily. Members also get open gym access during staff hours plus other benefits outlined below. 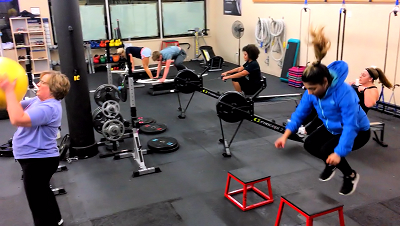 Unlimited Group Training: Take as many classes as you like. Open gym access during Staff Hours, 24-hour access after meeting eligibility requirements, and FREE Workshops for skills development. Suitable for all skill levels. 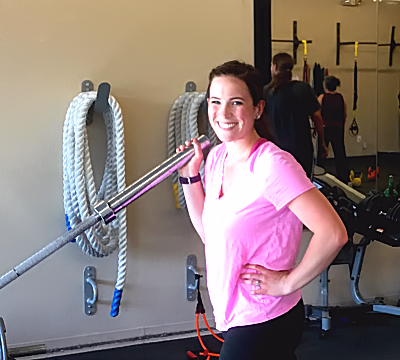 Unlimited + Personal Training: Includes ALL of the benefits of our Unlimited Group Training membership, but also you get weekly personal training sessions for a more individualized approach. Great for beginners and those who want more 1-on-1 attention. Open Gym Access: If you are an experienced lifter and just want a great place to work out without the red tape or people curling in your squat rack then this membership is for you. You won't find rows of treadmills but you will find enough barbells and plates to suit your needs, as well as kettlebells, TRX, and more. Plus, we won't get angry when you drop your 275+lbs deadlifts! Come in during our Open Gym Hours for a great workout! Suitable for experienced lifters only. 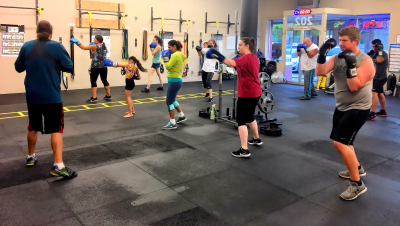 Boxing Only: An affordable option for those interested solely in our boxing classes. Doesn't include any other classes, open gym access, or workshops. Suitable for those interested in only our boxing and kickboxing classes. Workout of the Day (WOD): Our daily offering offers a high energy workout that changes on a daily basis and may include elements of Strength, Conditioning, Power, Plyometrics, Cardiovascular Endurance, Core Training, and more. Influences we draw on to create our WODs include Powerlifting, Functional Training, Strongman Training, High Intensity Interval Training, and more. Classes are generally 45-50 minutes (a 30-minute option is available at lunch) with a strength focus MWF and cardio focus TTh. CoreWOD: Our new CoreWOD is a 30-Minute blast to your abs, hips, and obliques! 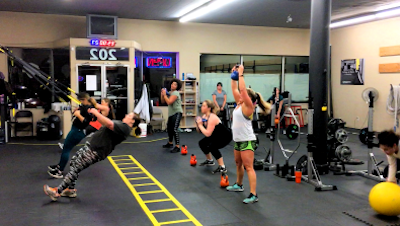 Using your own body weight, kettlebells, TRX, and other tools you will develop a strong, solid core and strength that will transfer to all your other activities. Boxing: Boxing is a high paced group fitness class suitable for all ages and skill levels. A 60 minute class, Boxing features both boxing techniques and drills combined with aerobic and anaerobic exercise to provide a blast to your metabolism. All equipment required will be provided so all you need to bring is the hard work! No matter your level of experience Boxing is a great way to gain some self-defense skills. Come have fun, learn boxing techniques, and get a great workout. Kickboxing: Kickboxing focuses on the fundamentals of how to throw different leg strikes and defend them. Equipment will be provided but bringing your own equipment is encouraged. Whether you have some experience or none at all come learn some real Kickboxing techniques that are used in the ring and get a great work with a positive atmosphere! Birthday WOD: Jeff's birthday is in March and so we generally will do a workout that revolves around the age he is turning. Nobody knows when this will happen except in that is is in March. We will also do Birthday WODs by request for any other member with a selection of their favorite exercises, music, etc. Freedom WOD: Every year for the 4th of July we do a Strongman-inspired workout for one hour in the parking lot. Think yoke and other loaded carries, tire flips, sled pushes, and more! StrongWOD: Similar to the Freedom WOD, but 45-minutes in length and will be scheduled on occasional Saturdays throughout the summer. Get a great workout and some sun! Pumpkin WOD: Our annual Halloween workout where we hold on to a pumpkin throughout the entire workout. At the end we'll SMASH THEM out in the parking lot, then feed the remains to our clients' livestock. Jingle Hell's Bells: Our annual December workout is an all kettlebell workout from hell. The 12 Lifts of Christmas: On the 12 business days leading up to Christmas--ending the Friday before--we take the opportunity to focus on a specific lift each day, spending a great deal of time working on the skills of each lift and--for our more experienced participants--setting and breaking records. PARTICIPATION IN OUR MEMBERSHIPS PRE-SUPPOSES THAT YOU ARE FREE OF ANY INJURY, PAIN, DISABILITY OR MEDICAL CONDITION THAT WOULD BE WORSENED BY, OR INTERFERE WITH, PARTICIPATION IN HIGH INTENSITY FULL BODY WORKOUTS. Those with special needs should pursue personal training instead. You'll be in quite capable hands. Empowered Fitness Training and her fitness professionals are overseen by a highly qualified Exercise Physiologist. Each fitness professional is required to have an NCCA-Accredited certification (ACSM, NSCA, or ACE), a relevant bachelor's degree or higher, a two year technical degree in personal training, or any combination of these credentials. Personal Fitness Training offers a truly individualized fitness experience you can't get any other way. We'll start with a consultation where we will get to know your health and fitness background and all other relevant information. From there, we'll perform the appropriate assessments, including the Functional Movement Screen. We'll also conduct any necessary research before we begin. 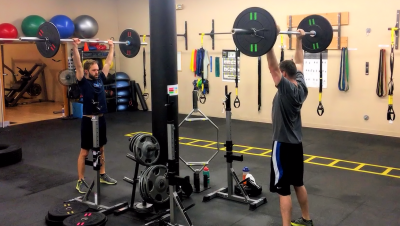 After collecting all the data, we'll design an exercise program specific to your body and needs so that we can get to the business of getting you the results you want. Assess your movement patterns using the Functional Movment Screen. Determine your strengths and opportunities. Correct strength imbalances and weaknesses. Correct movement patterns that could lead to injury. Prevent further injury (if applicable). Help improve and/or regain mobility. Maximize core strength and improve stability. Let us create a customized exercise program specifically for you and start your fitness journey together! • Other topics based on the requests of our members. If there is something specific you need please feel free to contact us at (509) 925-1810.